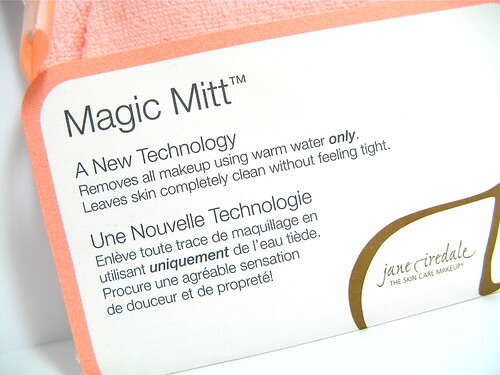 I was skeptical the first time I saw the Jane Iredale Magic Mitt (P895). A product that removes makeup only with warm water? Is that possible? Yes it is, actually, but warm water doesn't really take off makeup completely, especially mascara, eyeliner, and heavy concealer. You need an oil-based makeup remover for those products. 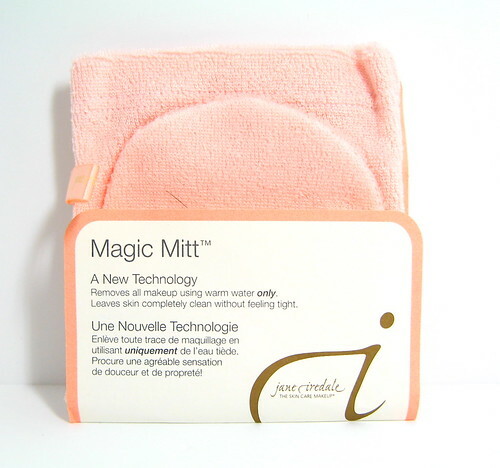 I saw the owner of Jane Iredale Philippines test the Magic Mitt on Shen around a month ago, but still, I didn't believe that it was an effective makeup remover. Until I tried it out for myself. 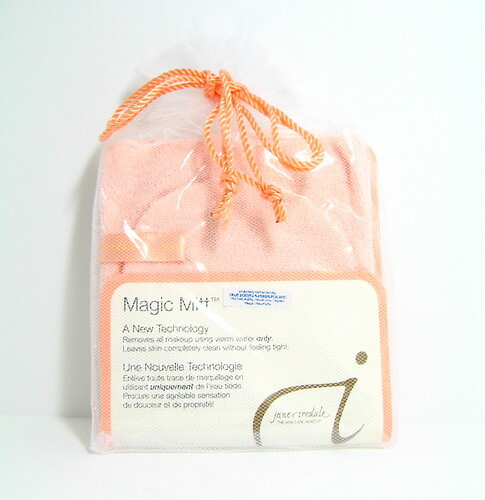 The microfiber cloth removes makeup effectively and completely (not counting waterproof mascara) with only warm water. 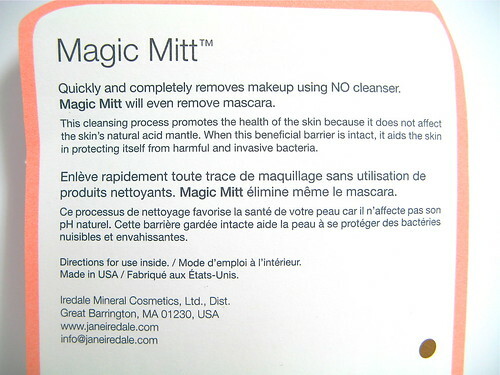 Water-soluble mascara/ mascara that dissolves with warm water, waterproof concealer, eyeliner, heavy liquid foundation, eyeshadow over primer, lipstick - the Magic Mitt takes it all off! Waterproof mascara won't budge, but still, for a piece of reusable cloth, that's not a bad deal. 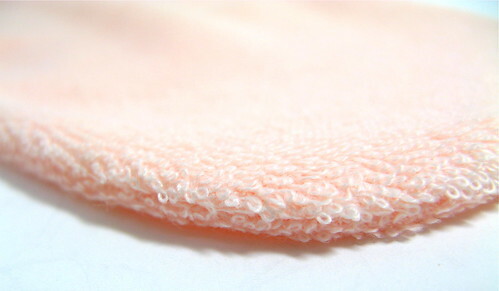 It gently exfoliates skin in the process, removing pore blockages too. You see, warm water opens up pores, so warm water + the Magic Mitt is the perfect combination for clearing your skin of dirt, oil, and dead skin. The cloth is easily cleaned with soap and water. Yes, even with all the lipstick and eyeliner in it, it rinses clean. It's reusable. I've googled some reviews and they claim you can even use it up to two years with care. Since you only use water to remove the makeup, sensitive skin will love this product. You use less chemicals in your daily routine. At P895, some may find it rather expensive for a small piece of cloth. But since its reusable and it works, I personally don't mind the price. You never have to buy a bottle of that makeup remover again, at least for a year, so it all evens out. It is time-consuming to use. You have to devote five to ten minutes rubbing your face with the cloth (don't worry about wrinkles, it's very soft and won't tug if you're careful) and cleaning it with soap. In action. I was wearing like three layers of powder makeup here plus mascara. 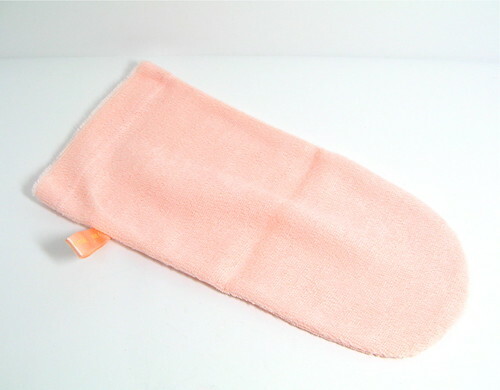 The Jane Iredale Magic Mitt is perfect for those who wear light to medium-heavy makeup. It takes off most makeup (that I have, anyway) as long as you devote a few minutes to the task. 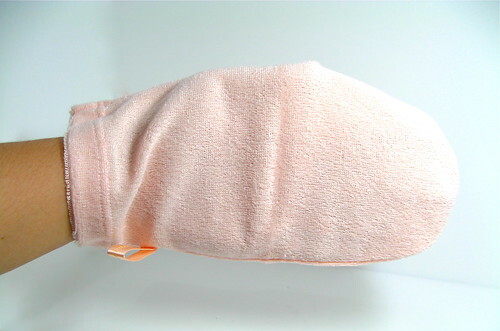 If you want a "purer" way of cleaning your skin, then there is probably nothing purer than the Magic Mitt. :P It's effective and I do believe that the initial investment is worth it. However, if you're the type who's a zombie as soon as you get home and want to fall flat on your bed ASAP, then there are other quicker and more convenient makeup removal options for you. 1st floor Evekal Bldg., Arnaiz Ave., Makati City.